These night photos of an AF Puma Mk2 helicopter being loaded onto a C-17 Globemaster transport aircraft, illuminated by runway lights at Brize Norton, the largest station of the Royal Air Force, are simply too good to handle. 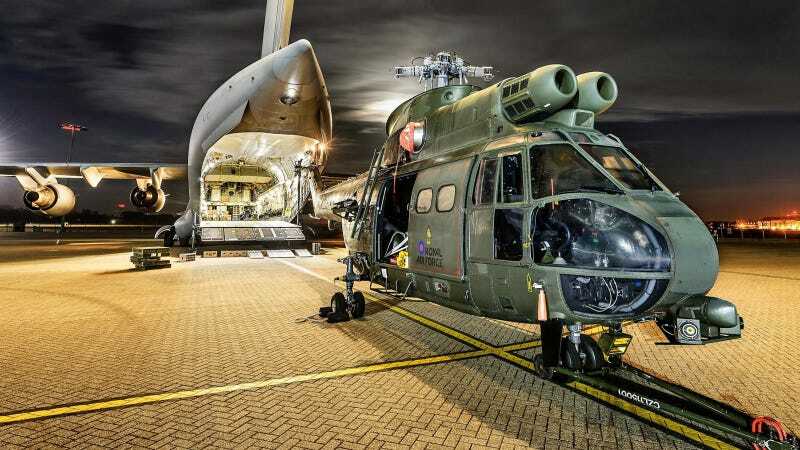 The RAF's latest Puma helicopter is being deployed for the first time on operations in support of the NATO mission providing training and assistance to Afghan forces. Its departure came just days before the Ministry Of Defence announced that the new Puma, and the RAF's latest version of the Chinook, the Mark 6, were both ready for operational use, says the official statement released today.